During the course of the year, Paul Rucker will create 1-3 new robes a week. Art can tell stories. For years I would talk about injustice by reciting numbers and statistics. When you say, “We have over 2.3 million people in prison,” it’s too large of a number to comprehend. During a residency around prison issues at the Blue Mountain Center in New York, I found some maps that I felt could help tell the story. This project shows the proliferation of the US prison system from a celestial point of view. Using different colors to indicate different eras, the viewer can clearly see the astonishing growth of this system over time. Soundless Series is a group of wood sculptures resembling cello bodies, and marked with the date and location of that unfortunate demise. Based on Shelter in the Time of Storm, a hymn my mother knows from her experience as a church organist. Stories from the Trees re-imagines vintage postcards of lynchings through animation and new musical composition. 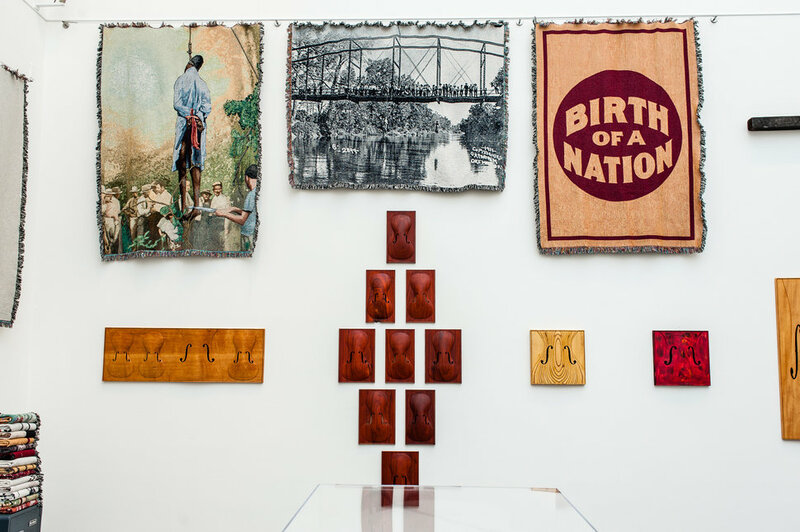 This project brings to life different scenarios of lynchings—events where communities, including women and children, gathered to proudly watch these atrocities. The images draw from postcards that were commonly made from photographs of lynchings. PART 1 Unknown lynching victim with children surrounding the body. Deprived of an adequate diet, slave children were very small by modern standards. Slave mothers suffered high rates of spontaneous abortions, stillbirths, and deaths shortly after birth due to chronic undernourishment. Half of all slave infants weighed less than 5.5 pounds at birth. In addition, slave children received	harsh punishments, not dissimilar from those meted out to adults. 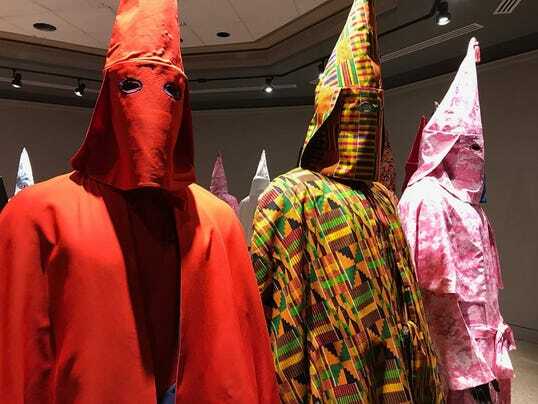 This installation utilizes the image of a widely sold target that has been drastically modified to create the likeness of a hooded individual carrying Skittles and watermelon juice cocktail. The image is rendered in the form of a throw blanket, typically used for comfort and warmth. Paul Rucker is an artist on a very determined mission not just to create compelling works of art but works that prod and provoke the mind, body, spirit and conscience of this ethically embattled world of the 21st century. The geographical focus of Rucker's intellectual, moral, and political concerns interrogate iconic images that signify terror and abuses to the civil rights of citizens of these United States of America. Every day issues of social justice are becoming increasingly critical to people of all walks of life and every sector of the world. In many ways, the artists in contemporary society find themselves acting as thought leaders and catalysts for change. Paul Rucker's Empathy Project moved the MICA community to engage and to connect with another human being or situation alien to their own sense of being. REWIND is the next phase of this artist's journey of discovery and engagement. Rucker's work is not necessarily to be liked...the issues he selects through his aesthetic process are hard, difficult, and uncomfortable. There is in Paul Rucker's work ethic an important similarity to that of the philosopher Arthur Danto. In 2004 Danto observed that, " Even when I have reservations about the work I write about...my task is to give my readers something to think about - about art, about life, and about the relationships between them." To that end, so too is the mission of the artist to raise consciousness of the community about the meanings of art, life, and relationships...and truth. In Wake of Baltimore Protests, Artist Paul Rucker Spotlights Racism's Legacy. Art Talk with Paul Rucker. 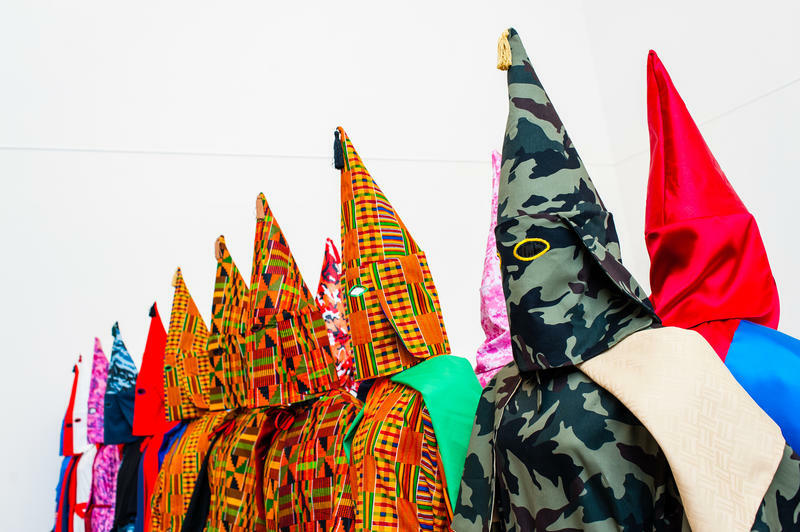 Paul Rucker's provocative 'REWIND' at the Creative Alliance links modern-day oppression and violence with US history. Artist Paul Rucker and Aaron Henkin discuss REWIND Exhibition Pre-opening. Podcast discussion with Paul Rucker on The Mark Steiner Show, WEAA 88.9, Morgan State Radio. 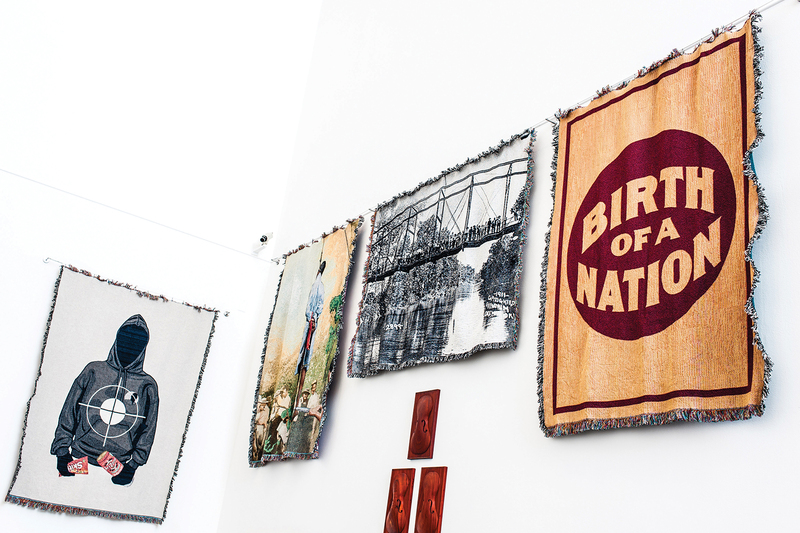 Paul Rucker’s Rewind Exhibit Addresses the History and Effects of Racism in America. His largest installation to date, REWIND, garnered praise from Baltimore Magazine awarding Paul “Best Artist 2015.” Additionally, REWIND received “Best Solo Show 2015” and “#1 Art Show of 2015” from Baltimore City Paper, reviews by The Huffington Post, Artnet News, Washington Post, The Root, and The Real News Network. Rucker has received numerous grants, awards, and residencies for visual art and music. He is a 2012 Creative Capital Grantee in visual art as well as a 2014 MAP (Multi-Arts Production) Fund Grantee for performance. In 2015 he received a prestigious Joan Mitchell Painters & Sculptors Grant as well as the Mary Sawyer Baker Award. 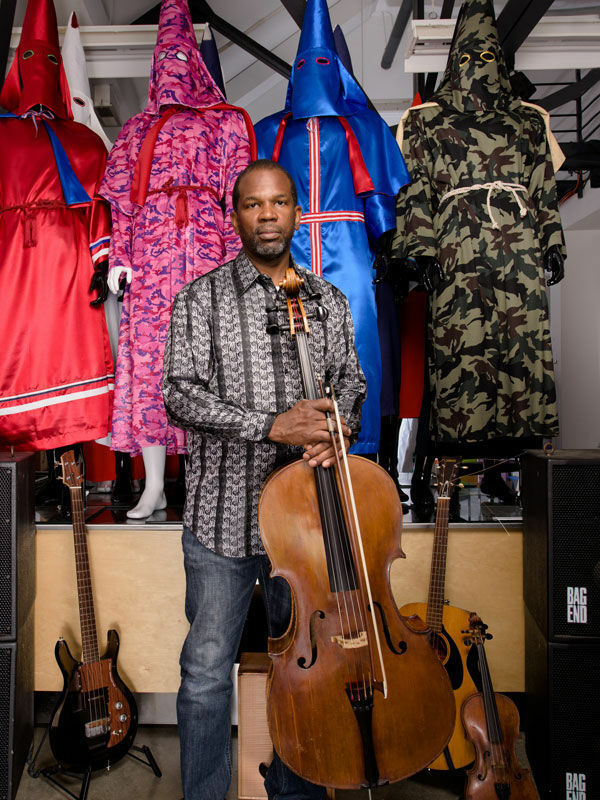 In 2016 Paul received the Rauschenberg Artist as Activist fellowship and the Smithsonian Artist Research Fellowship, for which he is the first artist in residence at the new National Museum of African American Culture. Residencies include MacDowell Colony, Blue Mountain Center, Ucross Foundation, Art OMI, Banff Centre, Pilchuck Glass School, Rauschenberg Residency, Joan Mitchell Residency, Hemera Artist Retreat, Air Serembe, Creative Alliance, and the Rockefeller Foundation Study Center in Bellagio, Italy. In 2013-2015, he was the Robert W. Deutsch Foundation Artist in Residence and Research Fellow at the Maryland Institute College of Art. 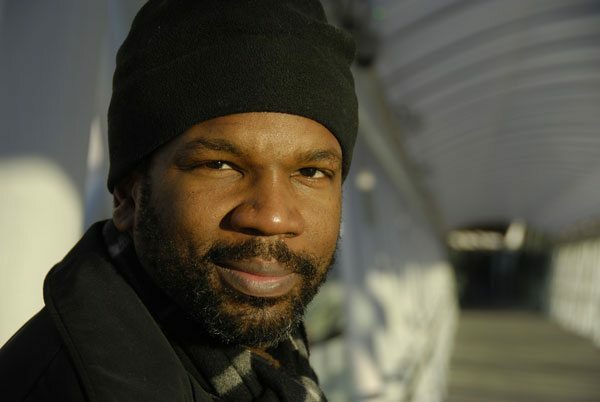 Rucker is currently a iCubed Visiting Arts Fellow embedded at the Institute for Contemporary Art at Virginia Commonwealth University. He was most recently awarded a 2017 John Simon Guggenheim Fellowship. Email mclayrob@ycp.edu for updates and information regarding attendance restrictions. YCP ID or VIP invite to receive a ticket to enter the lecture.